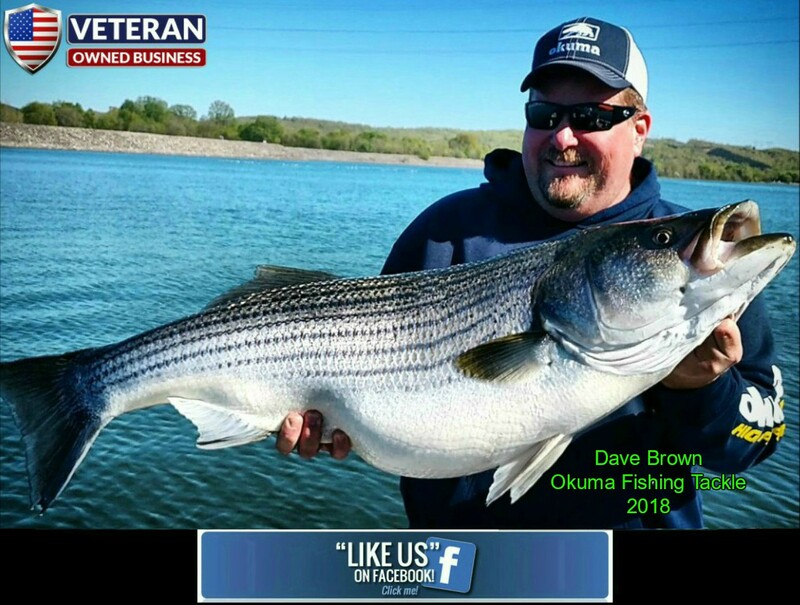 Tennessee Striper and Catfish Guide - RatesWe are full-time guides and spend more than 350 days a year patterning bait fish and trophy fish all over east Tennessee. We are Licensed by the US Coast Guard, have a Valid Tennessee Guide License, CPR/First-Aid Certified, have Commercial Boating Insurance & Passed Annual US Coast Guard inspections. Our Most Popular Package: 2 - Day Trip $850.00 This Package includes two (2) days of fishing for 1 or 2 people with a minimum of 6 to 10 hours of fishing each day. You can choose Striper or Catfish or both days depending on the time of year. You will fish out of a New 2018 SeaArk 21' powered by a 150 hp Susaki or a 2017 20' SeaArk boat powered by a 150hp Mercury. Our boats are equipped with all the latest Humminbird Sonar/GPS technology and safety equipment. We only use top of the line fishing gear and provide all bait for your trip. All Pricing includes everything except your fishing License $300.00 1/2 Day Trip (4 Hours) (2 People) $450.00 1 - Day Trip (6 to 8 Hours) (2 People) 3rd Adult is an additional $100.00 per day4 People - $750.00 per Day 3 Day Trip $1,200.00 Save $150.00 5 Day Trip $1,900.00 Save $350.00 Tips are not Mandatory; but Appreciated; If we've EARNED them !﻿ Clients will be responsible for contacting us 24 hours before their scheduled date for meeting times, address to designated boat ramp and/or any other special instructions. Pleae bring sunscreen, snacks, hats, camera and your fishing license upon arrival to boat ramp. A $100.00 Deposit is Required to Book your Trip.You are NOT BOOKED unless your deposit has been paid ! We are located less than an hour or so from the following cities: Nashville Seiverville Pigeon Forge Gatlinburg Bristol Crossville Chattanooga Knoxville Lexington Lenoir City Cookeville (865) 680-7672 "No Fish - No Pay Policy" only applies to Catfishing PAYMENT METHODIf you don't have a PayPal Account - Then I can bill you through your Email address GENERAL INFORMATION Absolutely No Horseplay or Drugs. PERIOD ! Violations will result in Immediate Termination of your trip and Payment in Full * You MUST purchase your Tennessee Non-Resident Fishing 3 Day License before Arrival * $100.00 Deposit per day is REQUIRED to hold your Date(s) * Cancellations not within 30-days of Trip or during April & May - Deposit will be FORFIETED * Trips will be Re-Scheduled if BAD WEATHER arises - Captain's Decision * Reservations are NOT CONFIRMED until deposit is PAID ! We are full-time guides and spend more than 350 days a year patterning bait fish and trophy fish all over east Tennessee. We are Licensed by the US Coast Guard, have a Valid Tennessee Guide License, CPR/First-Aid Certified, have Commercial Boating Insurance & Passed Annual US Coast Guard inspections. This Package includes two (2) days of fishing for 1 or 2 people with a minimum of 6 to 10 hours of fishing each day. You can choose Striper or Catfish or both days depending on the time of year. You will fish out of a New 2018 SeaArk 21' powered by a 150 hp Susaki or a 2017 20' SeaArk boat powered by a 150hp Mercury. Our boats are equipped with all the latest Humminbird Sonar/GPS technology and safety equipment. We only use top of the line fishing gear and provide all bait for your trip. Clients will be responsible for contacting us 24 hours before their scheduled date for meeting times, address to designated boat ramp and/or any other special instructions. Pleae bring sunscreen, snacks, hats, camera and your fishing license upon arrival to boat ramp. A $100.00 Deposit is Required to Book your Trip. You are NOT BOOKED unless your deposit has been paid ! Absolutely No Horseplay or Drugs. PERIOD ! * Reservations are NOT CONFIRMED until deposit is PAID !